Living in Temescal, CA you will find a mix of old + new, boutique + classic, fresh + local. 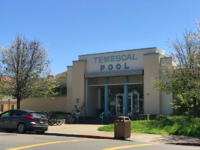 Temescal is one of the oldest neighborhoods in North Oakland. Primarily residential, Temescal has undergone some dramatic changes over the past 10 years. 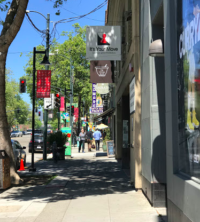 New developments with upscale shopping and dining have entered the neighborhood making Temescal the new hot spot. Large numbers of young couples with children moved to Temescal as the real estate prices in nearby Rockridge grew too expensive for middle-class families. People of different racial and economic backgrounds live side-by-side in the neighborhood. The commercial heart of Temescal is Telegraph Ave., from MacArthur BART station northward to 55th Street. Three of my favorite bites can be found here: Doña Tomás (try their sweet potato puree), Bakesale Betty (it’s all about the chicken sandwich and banana bread), and La Calaca Loca (their carne asada nacho’s are the b·e·s·t·!). Mama’s Royal Cafe is also known for its amazing breakfast. 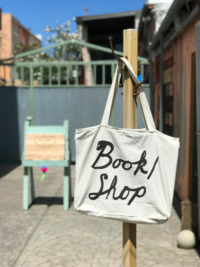 Temescal is also home to one of the few tool-lending libraries in the Bay Area (the Berkeley Public Library, South Branch, also has one), which operates out of the Oakland Library and lends tools to the public, free of charge, for home repairs and improvements. And the Temescal Pool is a great way to cool off. Coming soon to Temescal is the area’s first Whole Foods Market 365, which will be located on the corner of Telegraph and 51st. This will be a great addition to the neighborhood. Bakesale Betty for the best fried chicken sandwich you have ever had. Try the gingersnap cookie too. Flying Yoga — all kinds of really great Yoga and other exercise classes. The Sunday Farmers Market in the DMV parking lot. The DMV butts up against a creek and in the spring and summer kids play in the water while friends parents and friends shop the Farmer’s Market – you can spend the whole day outside enjoying great food, live music and a creek.